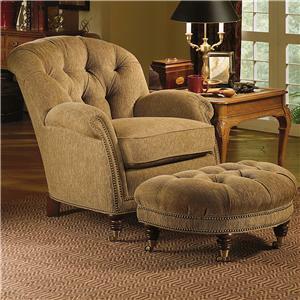 This beautiful chair and ottoman will be an elegant addition to your home. 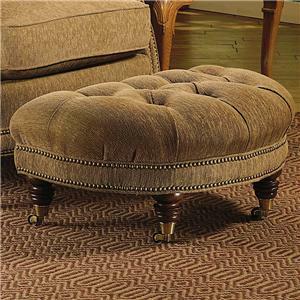 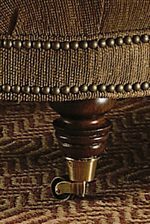 With it's button tufted back, rolled arms and turned bun feet, this piece of furniture will match any traditional home design. 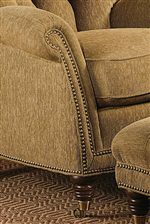 With over 800 fabrics to choose from, this chair & ottoman can truly be customized to fit your individual tastes and design choices. 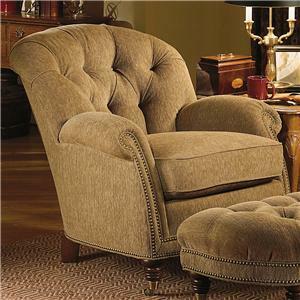 The 032 Chair and Ottoman by Michael Thomas is available in the area from BigFurnitureWebsite.